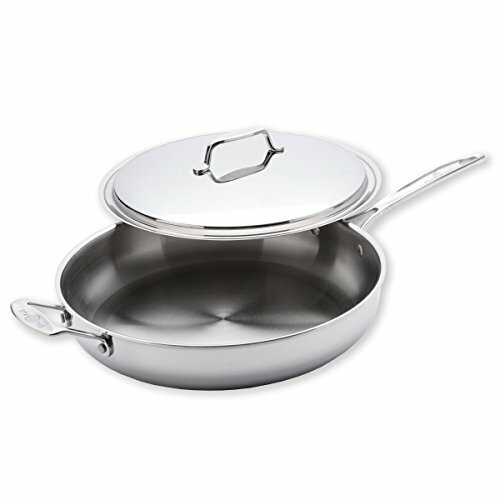 The USA Pan 13 Inch Chef Skillet With Cover is 5-ply clad stainless steel cookware that provides home chefs with premium cookware that cooks your food the way it should -- rich with flavor and packed with nutrients. The craftsmanship of the USA Pan Chef Skillet exemplifies the premium quality and high performance that has made USA Pan the predominant leader in the commercial baking industry. Each individual pan is hand polished to a mirror shine, providing a stunningly vibrant appearance in the kitchen and on the table.